Based on the water color, Greenville has recently seen a serious battle, a political debate, or both! Actually, I think the red really does represent the “Red State” in honor of the GOP political debate last weekend. 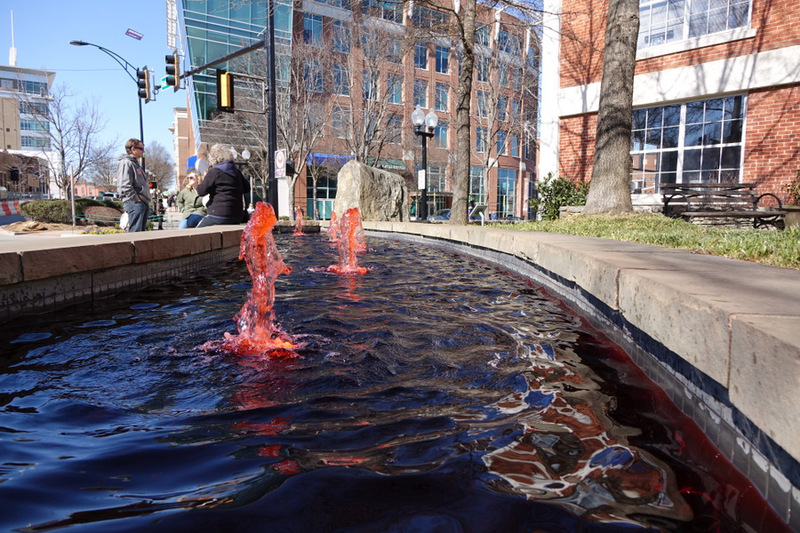 UPDATE – A reader gave a more likely theme for the red fountain: February Heart Health month. i like that red..i bet it is really pretty at night!